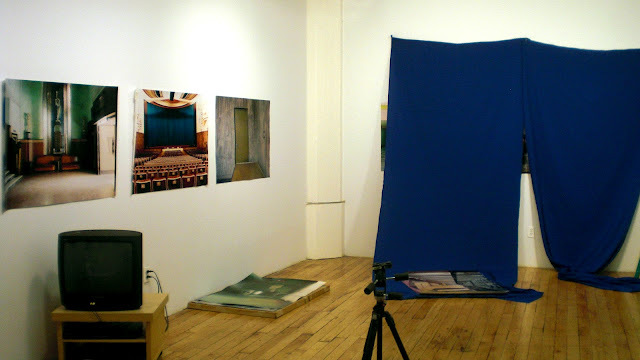 While attending open studios at the Marie Walsh Sharpe program this past winter I discovered the work of photographer Katherine Newbegin and eagerly penciled her in for a studio visit. I made my way to Dumbo for an evening of drawing and chatting a few weeks ago. She has a roomy studio situated in the center of the Sharpe building perfect for her use of the space. 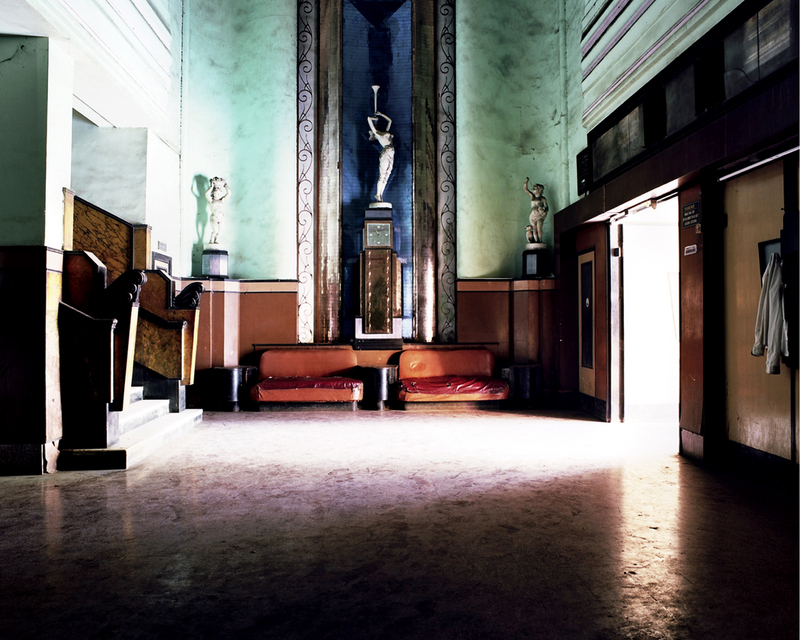 Katherine has most recently completed a series of photographs she had taken of the deteriorating interiors of India's cinema houses. She had several of these images on the wall when I visited. They have a distinct way of transporting the viewer -- acting like portals to another time and place all together. The images are eerily empty and lush with the colors of a Bollywood movie. Katherine explained that with the continued globalization of India, these cinemas are a dying breed. You can feel an almost ghost-like presence in the wear of the theaters' seats and the collection of footprints on the theaters' floors. 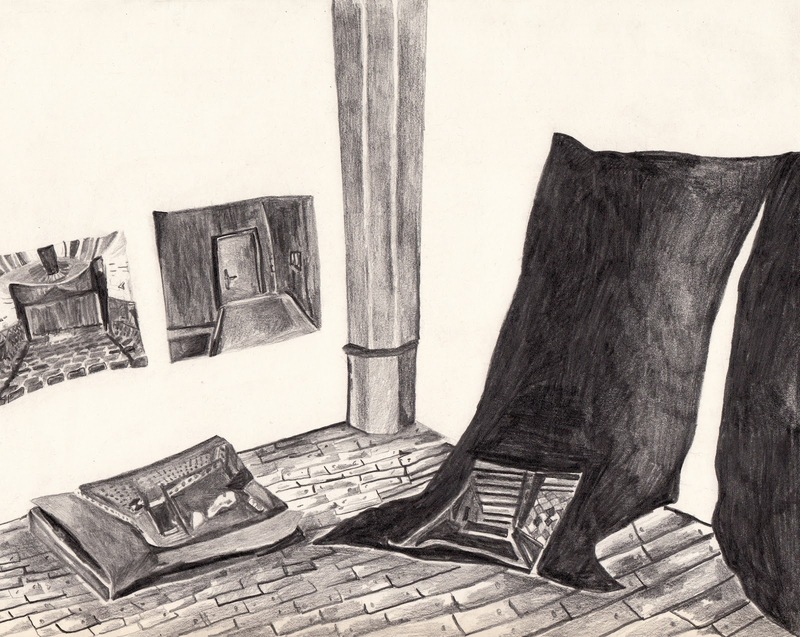 After a long conversation about the work, I began to draw the inside of her studio and the insides of the spaces she had so stunningly captured. I was quite curious to what led her to this project in the first place. Katherine's description of her discovery captivated me -- much like the work itself had already done. She told me that she had always wanted to travel to India, and, with a grant from the Louis Comfort Tiffany Foundation, she was able to do so. On her own, carrying one large bag on her back and her precious camera safely in a backpack on her front, she began exploring a country completely unknown to her. 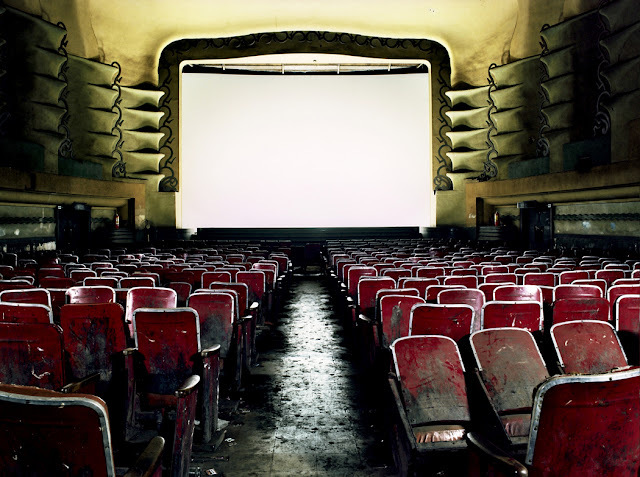 With the brave compulsion of a novelist in need of telling a story, Katherine's innate desire for wandering eventually led her to the inside of one of these richly historic cinemas. 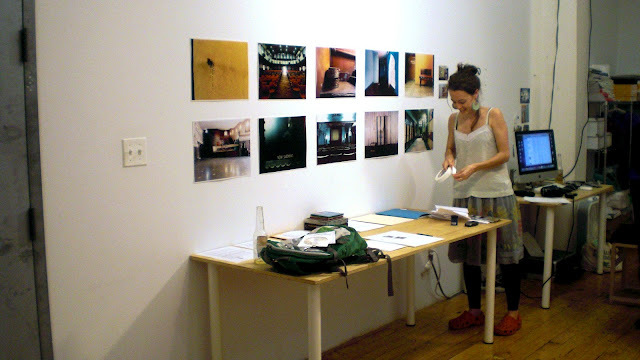 In 2010 she went to Kolkata, Delhi, Jaipur, Varanasi, and Agra. And then again in 2011, she went to Delhi, Mumbai, Chandigarh, Pune, and Shimla. 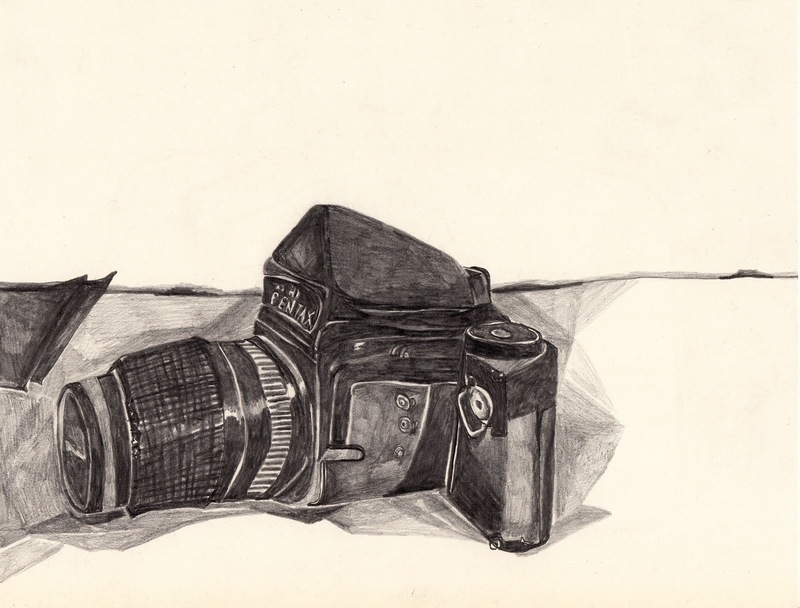 On each trip she took nearly one thousand photographs. I have yet to mention that Katherine uses traditional photography, the result of which filled her bags with film canisters, later, upon her return, filling her bags with all of those indispensable negatives. In my mind I connected her wayfaring ways of travel to our need to satiate a desire for escape by watching a film - interesting that she chose these theaters as her subject. Both experiences can be filled with solitude and both can lead to a broadening sense of mind and spirit, often giving us new worlds of thoughts and ideas. 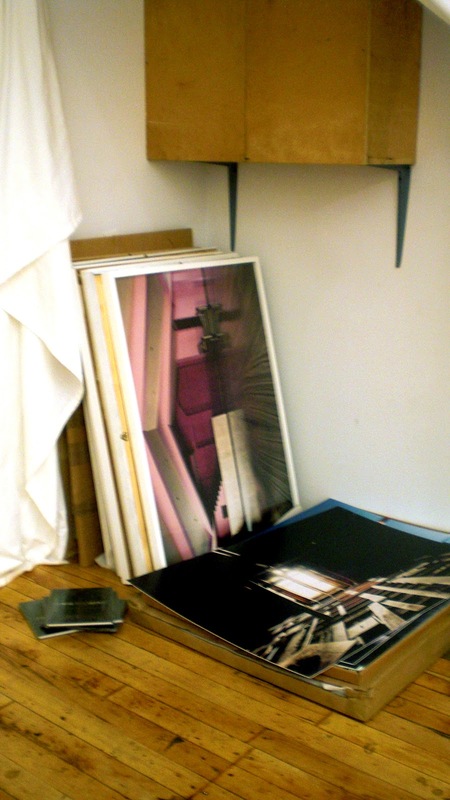 A previous body of work she had made while in Berlin on a DAAD grant from 2008-2009 focused on the old GDR (German Democratic Republic) hotels, or, as she calls them, "Eastern Block Hotels." 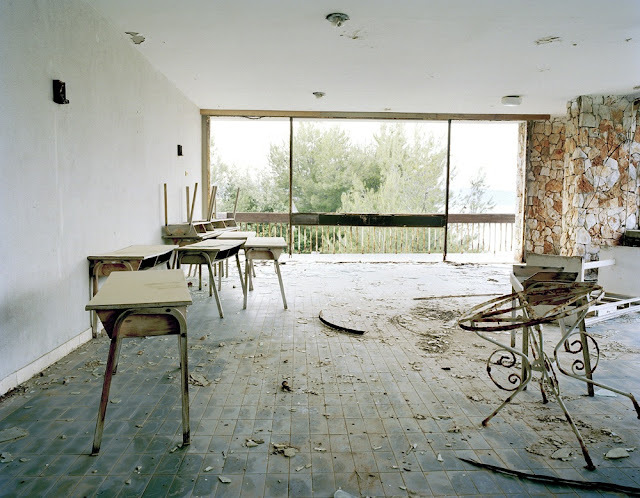 The images of these spaces also capture haunting relics of what where once places used for a departure from everyday life. And there is a similar feeling of there being a human present with an absence of any actual figure. Only your imagination is left to fill in the holes of a story that Katherine has begun to tell. Some of the videos she has been working on, made while in Germany and India, operate in a similar sort of way, but with different kinds of visual mysteries to be solved. See if you can figure out what is strange about the beach scene in the film still below. I have so many more questions for her, I can only imagine how much she must have experienced in all of her travels. She told me about the hoops she had to jump through to get access to some of these cinemas, and that people would sometimes gather around her as she photographed, curious to what her interest might be. We headed up the street for a pint to continue our chat with a neighboring Sharpe studio participant, Rachel Hayes. It was nice to bear witness to the camaraderie that comes out of the Sharpe program and to end my evening with these two lovely ladies. Please take a look at more of Katherine's wonderful work at http://www.katherinenewbegin.com/.